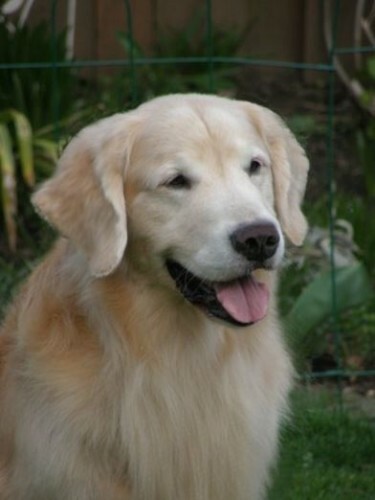 On July 1st, 2009 Dawn had to say goodbye to her special golden boy, Darby. Darby was one of a kind, a true friend and gentleman to the end. Dawn was blessed to have a little time with Darby and his son, Piper, together. Precious moments. When I can bring myself to I’ll post a few of their pictures here. Both Dawn and I see a lot of Darby in his sons and Piper in particular. 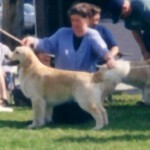 A much loved member of Dawn & Bob Hall’s family Darby went to his very first show to support the entry and came home with the Winners Male trophy from the 2001 GRCBC Specialty. The judge’s critique particularly mentioned his beautiful expression and wonderful pigment. We know that his dear personality was just shining through. 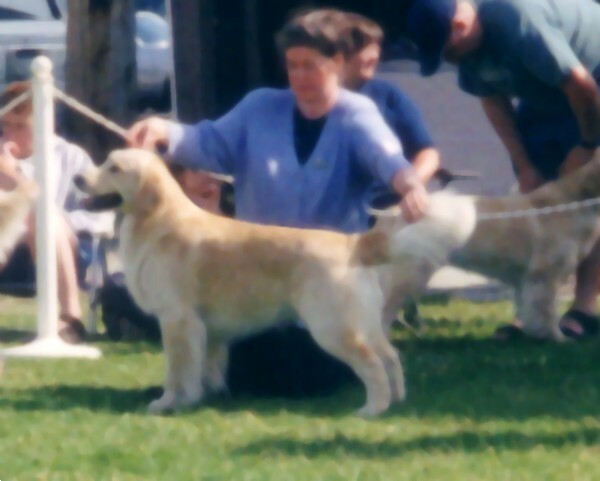 Dawn and Darby earned his CD title with three consecutive passes and also a CGN. 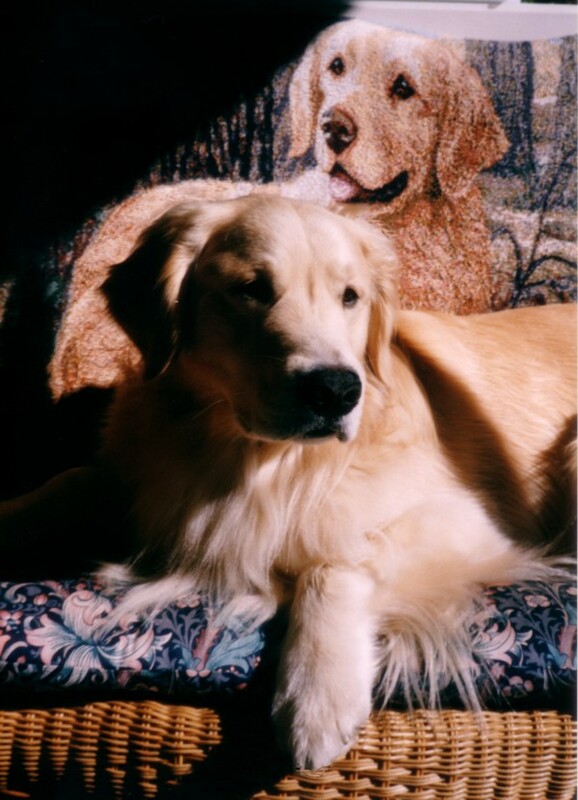 Best of all, Darby was an ambassador for goldens everywhere. He was a traffic stopper strolling the streets of OakBay with his Mom. 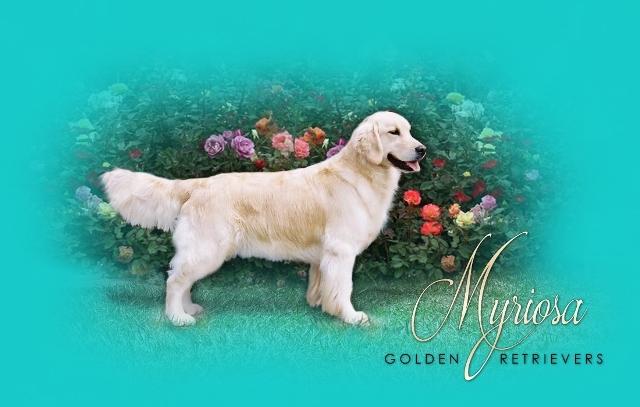 Wagging his tail and delighting in everyone he met. 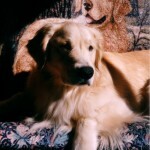 Thank you Darby for the legacy that you left here with us. You are terribly missed!